This Sunday marks one year since we opened our doors at Cycle Rhythm. It’s been a fantastic year- classes are buzzing and membership is steadily increasing. We’ve developed a strong team of instructors and staff who are dedicated and passionate about group cycling. I’ve loved welcoming new riders to the studio and seeing their strength and stamina improve class by class. Innovations in technology are revolutionizing group fitness classes, particularly indoor cycling. 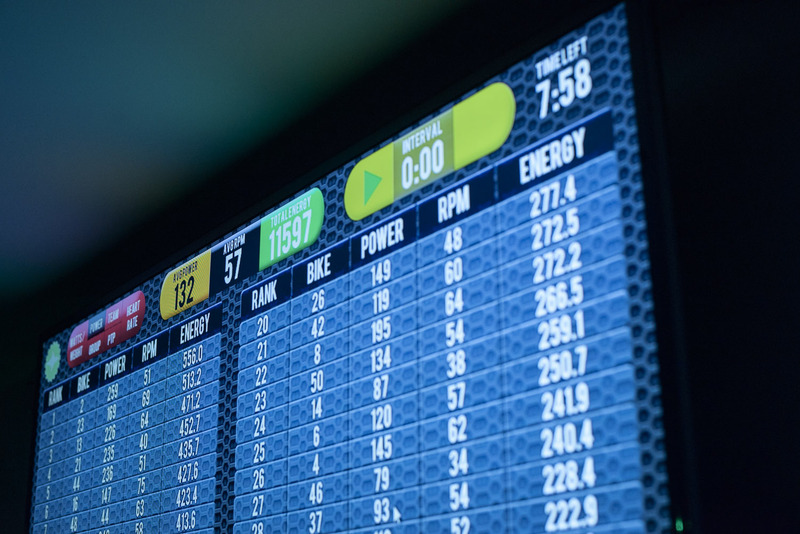 Performance metrics are a big part of the experience at Cycle Rhythm- our bikes transmit real-time data to screens at the front of the room allowing you to monitor and improve your power output. It can get quite competitive! But the important thing is to work at your own level and enjoy the ride. We also host Spivi rides- an interactive cycling experience where avatars ride a virtual road. Our riders love these classes as it’s the closest you can get to an outdoor ride, without actually venturing out onto the roads. Adjusting your bike is crucial for a comfortable ride and to avoid injury. Don’t be afraid to ask the instructor for help- they will be happy to help set up your bike. The saddle height should be positioned parallel to your hip-bone, when you are stood beside the bike. When the foot is at the bottom of the pedal-stroke, there should be a slight bend in the knee. The idea is to have a powerful riding position, without overextending your leg and letting your hips rock from side to side. Next raise or lower your handlebars, they should be positioned no lower than the tip of the saddle. Adjust the distance of your saddle from the handle-bars, you should be able to comfortably reach the handlebars without having to round your spine or hunch your shoulders. Remember to take a mental note of the settings, so that can easily recreate the same set-up at your next class. Make sure all the handles are securely tightened and you are ready to ride! 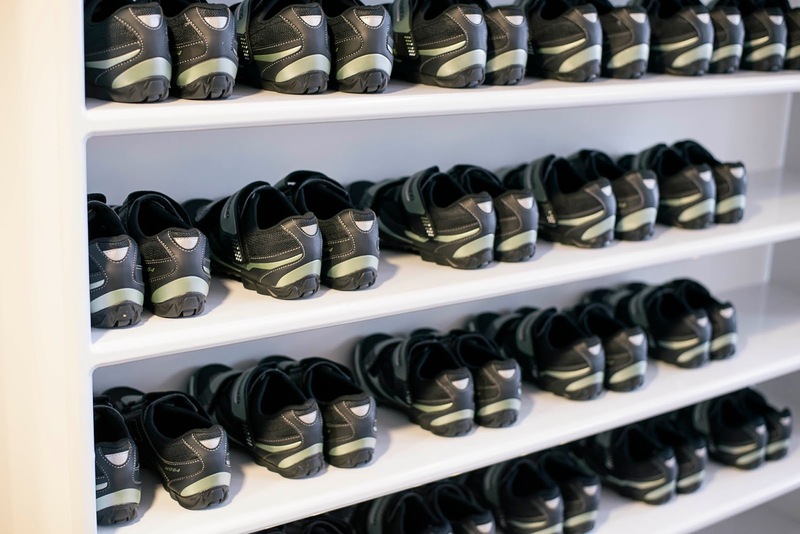 Many studios hire out cycling shoes for use in class- it’s always a good idea to take advantage of this. Again, the instructor will be able to help you clip into the pedals if you are unfamiliar with using cycling shoes. Clipping-in makes for an efficient, powerful and safe ride. You are able to pull up on the pedal as well as pushing down, which means that you engage more muscle groups and generate more power. You’ll also have better control and balance, without slipping around on the pedals. Connecting to the pedals also ensures knees are tracking correctly and provides extra support to the foot. One of the common mistakes in a group cycling class is riding with too little resistance on the flywheel. Riding with resistance builds muscular endurance, counterbalances bodyweight when standing and keeps pedalling under control. You’ll be spinning out of control and generating very little power if the gear level is too low. The tension should feel challenging, but not so heavy that you struggle to turn the wheel. Listen to the instructors cues, they will advise the gear range you should be aiming for. The resistance should vary throughout the class depending on whether you are standing, seated, warming up, racing, climbing or cooling down. Experiment with the gears and find a level which suits you. It can be tempting to slip away early, but staying to cool down and stretch at the end of class is key to getting to most out of your workout. Classes include a post-cardio cool down to allow the heart rate and breathing to gradually slow down. Suddenly hopping off the bike without cooling-down, can lead to feeling dizzy and light-headed. Stretching after class aids recovery and helps to release tension and improve flexibility. Some of the key muscle groups which should be stretched after a cycling workout are the hamstrings, quadriceps, hip flexors, glutes and lower back. The instructor should lead you through a stretching routine which will open the body and leave you feeling balanced and relaxed. Do you enjoy indoor cycling? 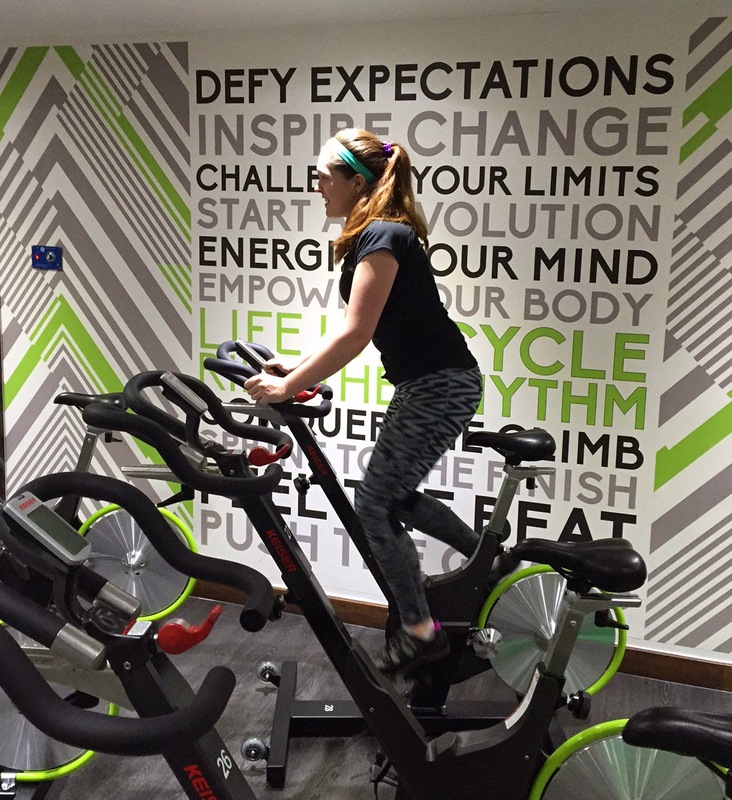 What are your indoor cycling class tips?